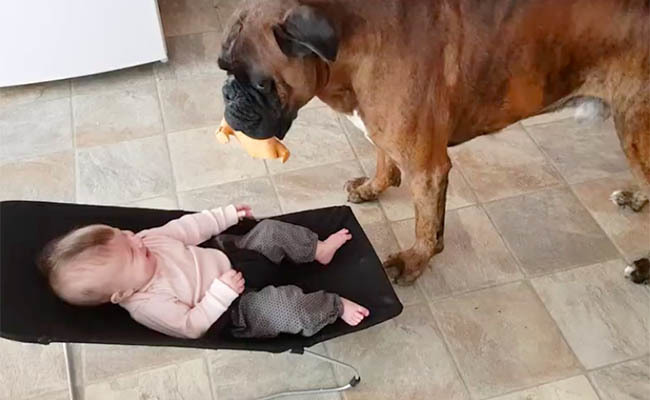 Prince the Boxer is working so hard to make his 5-month-old buddy laugh, and he is doing a great job! Bonus: the baby’s fauxhawk is not to be missed. Great dog to have around.